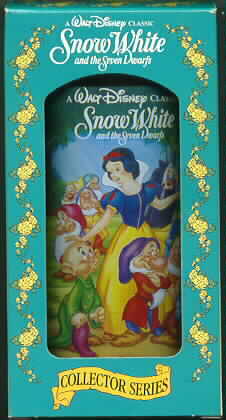 Snow White, the Hag, and the 7 Dwarfs: Dopey, Grumpy, Bashful, Doc, Happy, Sneezy, Sleepy, and Happy are on the glass. The glass is made of plastic condition: never used. Still in original packing as you see it.